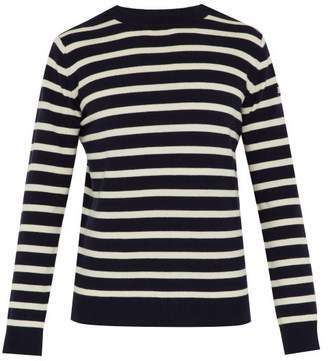 Holiday Boileau - Holiday Boileauâ€™s navy and white-striped sweater showcases this seasonâ€™s nautical themes. Itâ€™s made in Italy from lightweight wool and is shaped with a crew neck and long sleeves, making it the perfect daytime layer. The slim fit runs true to size.